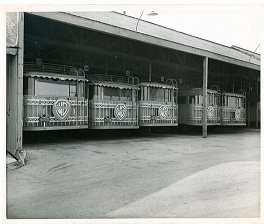 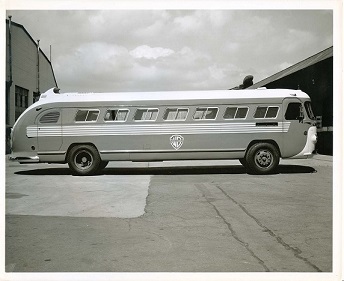 This is part of the Warner Brothers bus fleet. 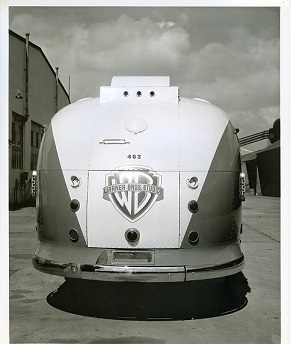 Between 1946 and 1950, Warner had bought about 10 Flxible Clippers. 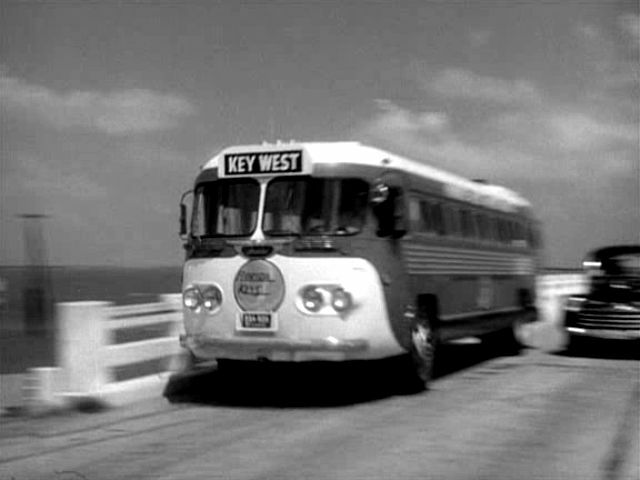 In the Humphrey Bogart movie, Key Largo, he arrives on board a Flxible Clipper over the 7 mile Bridge. 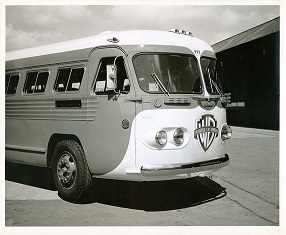 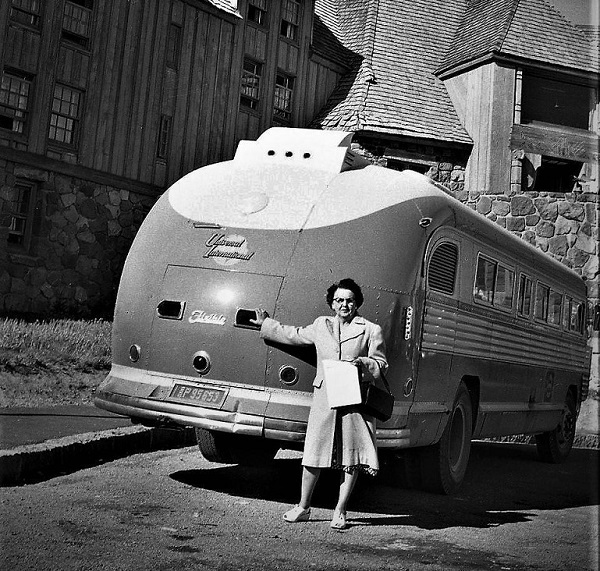 It appears that the bus was a studio bus with a placard placed above the windshield (the studio buses did not have destination signs) and lettered "Key West"
Note the location of the license plate on both scenes. 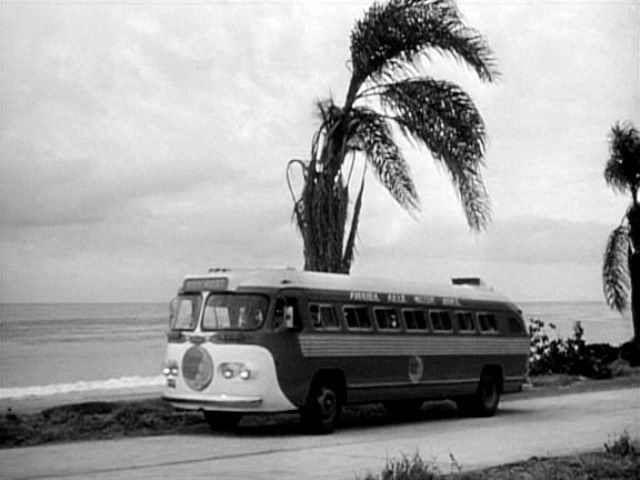 At least two buses were used for the Florida travel "effect"